After a year of rebuilding, the West Feliciana Saints have come back stronger and more mature, says head coach Robb Odom. He said being a year older has made a difference and that a lot of the players took it upon themselves to workout and get stronger during the off season. 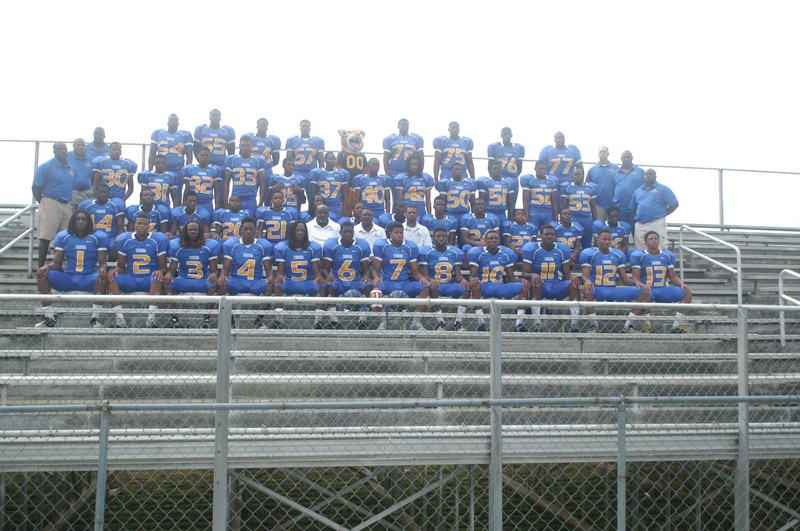 The Saints finished the 2011 season with a 5-6 record and with a Class 3A first round playoff loss against Loranger. Odom said the goal is to get back to the playoffs, but go farther than the first round. “Our goal (this year) is not just to make the playoffs, but be playing in November. If you’re playing in November, then you’re doing good things,” Odom said. In spring practice, the focus has been fundamentals, Odom said. After working on technique, Odom said he then had his players focus on learning plays. “We threw a lot on their plates early to see what they can and can’t handle,” Odom. The players shared Odom’s philosophy of maturity and technique being the key to a successful season. “So far, we’ve been conditioning pretty hard and in our scrimmages, the focus has been to make sure we execute the plays,” said senior lineman Trey Cazabatt. For running back and defensive back, Deldrick Harris, he said learning patience was key for him. “I learned patience in the losing games (last year). This also pushed me to work hard this summer and be ready,” Harris said. He will also be playing offensive line this year and said he feels he’s gotten stronger and will do well at the position. “We see each game as a step forward to the playoffs,” said offensive and defensive lineman Josh Robinson. Quarterback and defensive back Dennis Bell said last year’s season helped to form the collective mindset of improvement. “I think we came together as a team because of those (2011) games and once we started to work together more, that’s when we started to play much better,” Bell said. The Saints have had scrimmages with Plaquemine and Patterson high schools and played a jamboree game against Denham Springs. Their first regular season game will be against the Tioga Indians at home on Aug. 31. Zachary High School football coach Neil Weiner talks to players during practice. For the Zachary Broncos football team, players are banking on individual improvements coming together for a successful 2012 season. 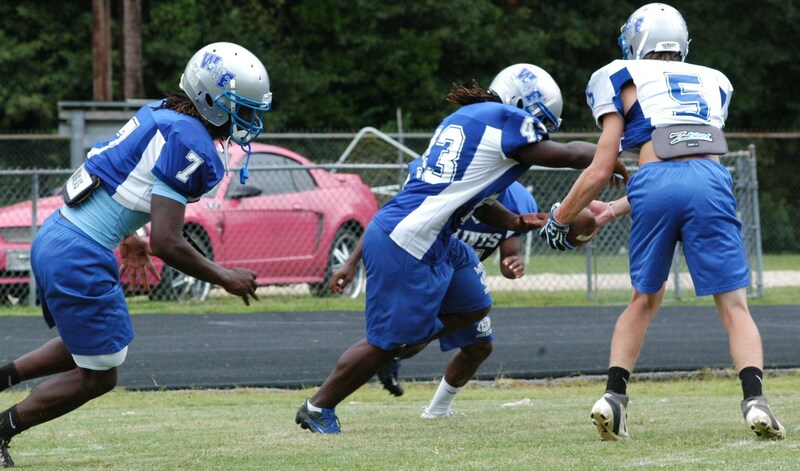 Senior offensive lineman Christopher Taylor spent the off-season improving his speed. along with working on drills, he went to college conditioning camps and spent extra time in the weight room on his own. Taylor is also looking to see how the Broncos’ defense will do against Catholic High School, the first game of the season. “They made some big changes, so I want to see how well they do. On offense, I think we have really clicked and I can’t wait to see it in action,” Taylor said. For senior running back, Boston Scott, he said he felt his biggest obstacle was break away speed. “I spent a lot of time during the off season working on plyometrics,” Scott said. Plyometrics, or jump drills, build muscle and help explosiveness. Scott said being a starter this season is also extra motivation. Head coach Neil Weiner said he has high expectations this season, despite losing 32 seniors. 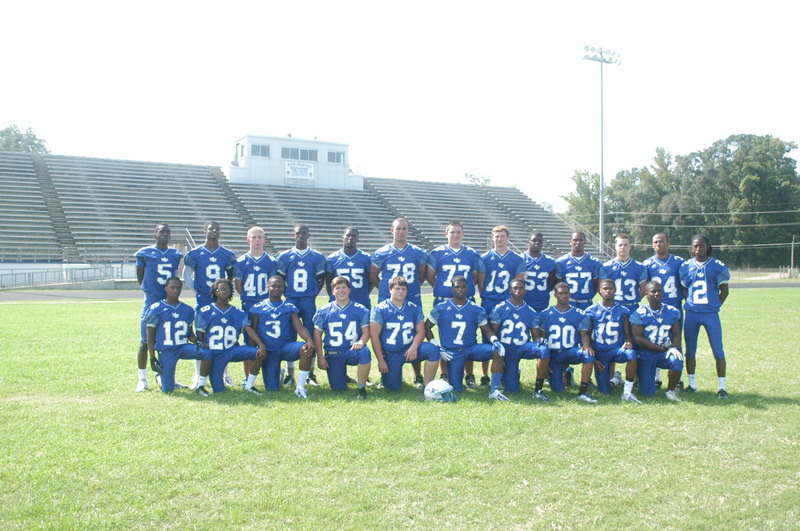 The Broncos finished the 2011 season 7-4 with a loss against Acadiana. “We have a few new spots to fill, but the guys have been great through spring practice,” Weiner said. “This will be Trey Hills’ first year starting and he’s done a good job of learning as much as possible. Grant VonRosenberg is starting (at center). It will be new for him but I think he’s ready,” Weiner said. Other players spent their off season getting stronger. “This summer I wanted to get bigger, faster and stronger, but mostly stronger, said senior corneback Nick Maxey. He said he lifted at school and worked with weight lifting coach Gayle Hatch. This led to Maxey competing in the Junior Olympics in Texas and taking gold in the 62 kg, age 16-17 group. The Broncos held a scrimmage against West Monroe and their first regular season game will be against Catholic High Bears on Aug. 31. East Feliciana High Head Coach Craig Anderson said last year was kind of a rebuilding season and he expects his players to get back to 2010 form when they finished 12-1. Senior quarterback Kendell Beckwith said he spent the summer trying to get more accurate with his throws and improved his defensive skills since he will be playing linebacker as well. Last year, he passed for more than 800 yards and had seven passing touchdowns. Anderson said he expects Beckwith to also settle into his role as a leader on the team. 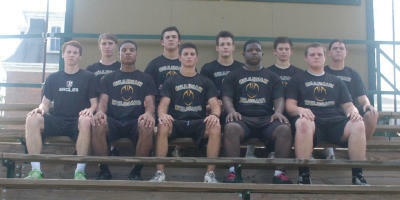 Beckwith said he is optimistic about the 2012 season after an Aug. 17 scrimmage with St. Helena High School. Junior wide receiver Danny Johnson said he spent the summer hitting the weights and on the field working on his play routes. “I think one thing we have focused on going into this season is working together better,” Johnson said. He said the scrimmage with St. Helena showed that he and the players need to make sure they are capitalizing on a lead. “Once we are ahead, we need to make sure we keep that momentum going,” Johnson said. In the first game against Northeast on Aug. 31 Johnson said he hopes to do better catching the ball and breaking tackles. Senior wide receiver said Corey Hawkins last season was motivation to work harder. “The scrimmage showed me I need to improve on my route running and I need to practice the plays more,” he said. Hawkins said he’s hoping to dominate against the Northeast Vikings, whom they beat 41-0 last year. Senior running back and cornerback Ladarius Jackson said he and other seniors got together during the off season to train together. “This is our senior year, we want to play hard and go out and have fun,” Jackson said.